Valves are used for thousands of purposes, from simple and mundane tasks, such as turning on the water in a kitchen sink, to tasks as important and difficult as controlling water flow through a nuclear reactor. Regardless of the application, valves are crucial in controlling the flow of liquids and gases in everyday life. Certain valves are used to isolate systems, bleed off system pressure, and/or vacuum for maintenance and repair. Others are used to prevent flow reversal or throttle flow within a system. 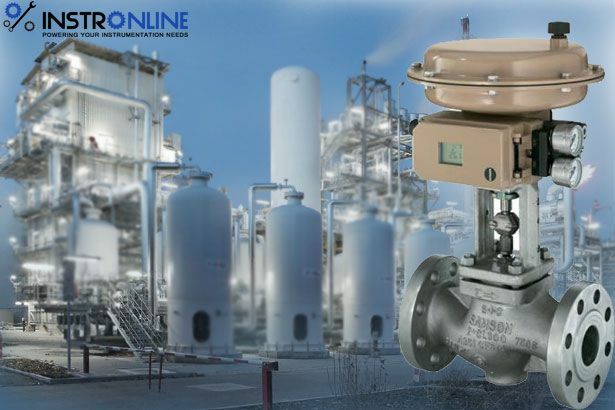 The type of valve to be used must align with the parameters of the intended service; otherwise, valves could perform poorly or even catastrophically fail. Let’s take a look at some common types of valves and their applications. The globe valve is the most commonly used valve and is applied in applications that require frequent operation and/or throttling of flow. A globe valve normally consists of a spherical body and a bridge wall that separates the inlet and outlet sections of the valve. Flow is regulated by a disc-type element or plug that forms a seal with the seat in the valve’s bridge wall and can be opened or closed by adjusting the stem. The gate valve is also a commonly used valve. It is used strictly for on/off service, as it is designed to operate either fully closed or fully open. The gate valve controls fluid flow by lifting and lowering a gate or wedge, which is sealed against a seating surface. Gate valves have a straight-through design and are beneficial when installed in straight-line piping, where a minimum amount of flow restriction is desired. Due to excessive vibration in partially open conditions, gate valves typically are not used to throttle fluid flow, but rather to start or stop it. The butterfly valve is a simply designed valve that is lightweight, compact, and inexpensive, particularly in larger valve sizes. It is essentially a flat, circular disc that is hinged in its center and fully closes or opens with a quarter turn of the stem. It is often used in place of a gate valve, but has the added ability to regulate flow. The ball valve uses a ball-shaped plug with a circular hole through its center, within its valve body. It also can fully open or close with a quarter turn of the stem. The needle valve is similar in construction to a globe valve and is used for precise throttling in high-pressure and/or high-temperature systems. They are designed for small diameter lines and piping that need exact control over the flow of gases, steam, oil, water, or any other light liquid. The valve consists of a sharp pointed stem that controls flow through the seat. The plug valve controls fluid flow through an internal plug, in either a cylindrically or conically tapered shape, which incorporates a straight-through opening. The valve is operated by rotating the plug and stem a quarter turn to either allow a straight-through passage of fluid, block the fluid, or any angle in between. It is popular due to its simple design and inexpensiveness. The check valve is used to prevent flow reversal in a system. The two most common designs are swing check and lift check. These operate by allowing flow in one predetermined direction through their body. A swing check valve consists of a hinged disc that swings open when flow starts and closes due to either gravity or flow reversal. When fully open, the swing check valve offers less resistance than the lift check valve. The lift check valve is used when pressure drops are not as critical. Its flow path is very similar to that of a globe valve, and is also opened when flow starts and closes due to flow reversal. Most check valves are labeled with an arrow on the body’s exterior, which indicates the direction of flow and assists with proper installation.